"Content is King". The more relevant and updated content your website have, more will be its usability. Good quality content provides the information user is looking for. A good site navigation is like a GPS that helps user find the relevant content out of your website. If your website has a lot of content, provide a search box so visitors can quickly find what they are looking for. Keep your navigation consistent from page to page to avoid any possible confusion. A good website should have an automatically attracts user's eyes. Be sure the colors used should contrast well and your text doesn't require a magnifying glass to read. With every design element added, take a step back and make sure it serves a purpose and does not detract from the usability of the site. Breaking up text into subheads and bullet points will improve the layout of the page and make the text more scannable. Coding, number of graphics, the server speed, traffic volume on the website and the capabilities of a user's computer affects the speed of the website. SEO stands for "search engine optimization". SEO is a technique which helps search engines(like google,yahoo,bing) find and rank your site higher than the millions of other sites in response to a search query. SEO thus helps you get traffic from search engines. SEO is one of the most commonly neglected aspects of a website, but a website is useless if no one can find it. Use keywords in titles, meta tags, headings, file names and in the content of your site. A good website should work properly on all popular web browsers like Firefox, Google Chrome, Safari, Opera and Internet Explorer. Old versions of Internet Explorer (like IE7, IE8) are considered a headache for a developer as they behave abnormally for the normal code. A good website also gives a consistent experience on all above listed browsers. All the elements of your site should work seamlessly. You need to fix all the page errors and poorly constructed website elements. 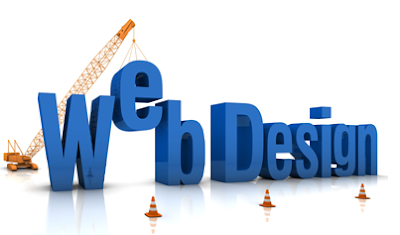 A poorly built website can severely affect negatively to the performance of your business. Think about the people who would be interested in visiting your Web site. If you are designing a website about men wears, the site should have a masculine feel to it. Decorating the page with pink hearts and roses would not be a good idea! It is considered a good practice for a website to have a Contact Us Form so that user can drop his considerations and queries. It is also considered a good practice for a website to have a Feedback Form too so that user can his valuable observations/feedback about the website. A nice tool like Google Analytics will keep track of the number of people who come to your website, what pages they viewed, where they came from, what keywords they used in search engines, how many left after the first page and more. Unlike other media, websites can be easily tracked to see what is working and what isn't. This data will help you to improve the quality and structure of your site.